Applications: Commercial greenhouses, indoor farming, home gardens, nurseries, hydroponics centers, arboretums, schools, universities and research institutes. Achieve your target yields and quality. Save time, money, electricity and sales. The TotalGrow HI-Top generates an ideal light spectrum for diverse supplemental and sole source applications with a versatile output pattern, exceptional efficiency and profound total value in a pleasant work environment. 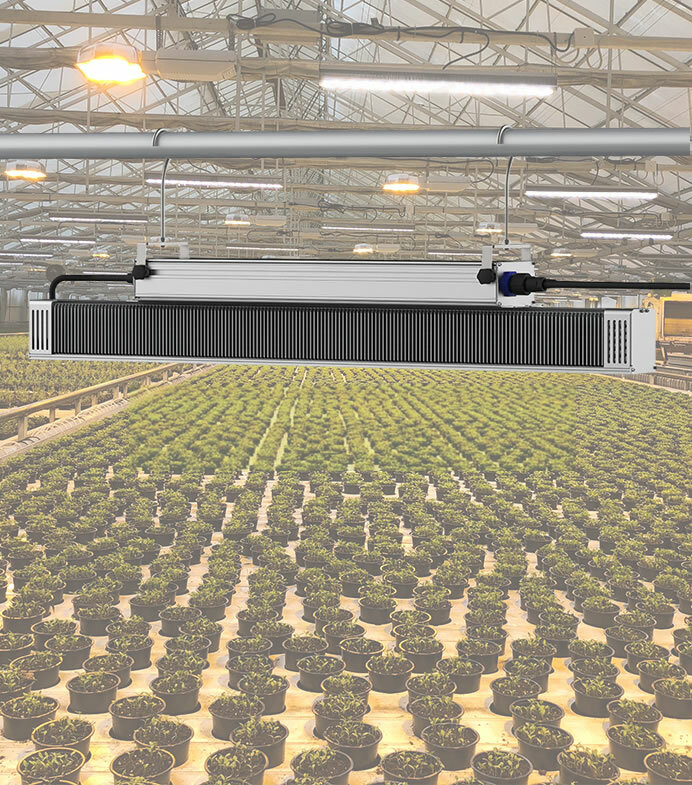 This plug-and-play solution is simple to implement, low on upfront and ongoing costs and makes it possible to sustainably grow high quality plants year-round over a very long lifetime.